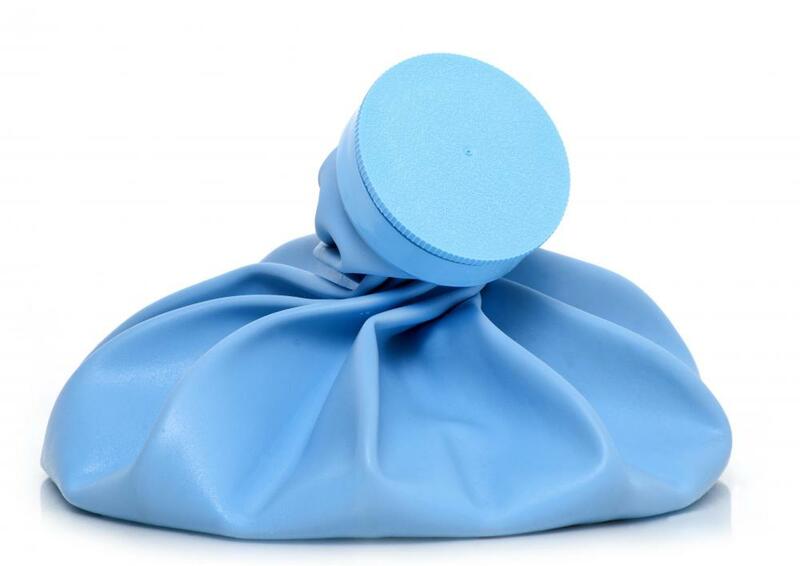 Ice packs can help with lower back pain. Injuries, such as muscle strains and tears, can cause sharp lower back pain. Sharp lower back pain could be caused by a herniated disc, a condition that may go away on its own with a few weeks of rest. The human body, with the area primarily affected by lower back pain shown in red. The most common causes of sharp lower back pain are pulled muscles, arthritis, spinal stenosis, and occasionally, infection. Pain that occurs during or directly after a sharp movement or jolt is generally related to muscle damage. This type of injury should heal quickly. Pain which lasts for more than a week or which occurs when no injury has occurred should be investigated by a medical professional. Most sharp lower back pain occurs due to an injury in which the back was moved suddenly and without proper support. This can occur during a sporting event, car accident, or anytime someone moves sharply for any reason. Pain may be caused by a torn muscle, sprain, or torn ligament in the back on either side of the spine. Treatment should include rest and relaxation and sometimes pain medication. More chronic conditions can also cause sharp lower back pain. Arthritis is the most common. Although pain associated with arthritis is often dull or lingering rather than sharp, during an episode of inflammation movements of any kind can cause severe pain in any area of the spine. This condition can be successfully treated with medication. 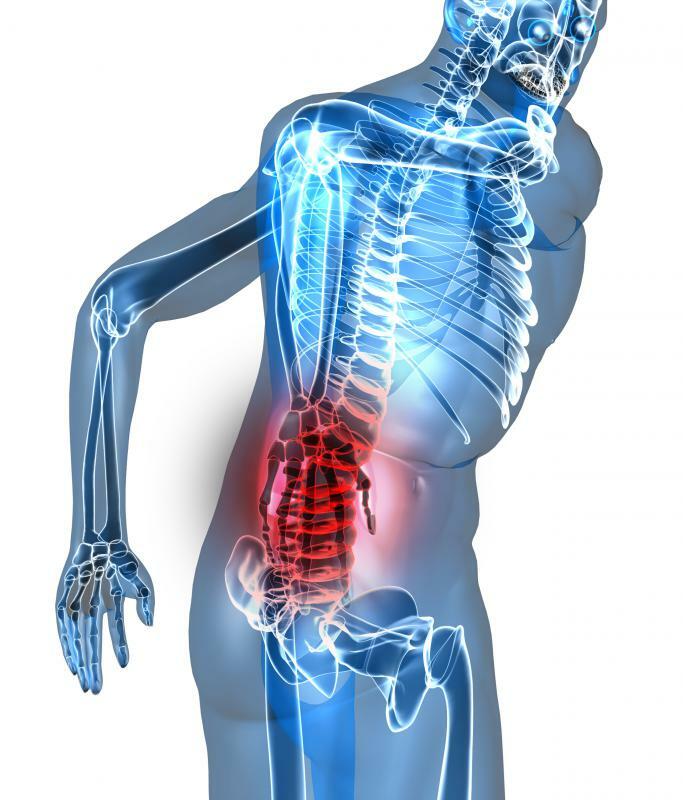 Spinal stenosis is a serious medical condition which can sometimes cause sharp lower back pain. This is caused by a narrowing of the spine or back which causes pressure to be applied to the spinal cord or surrounding nerves. Pain can be severe and prolonged. Treatments usually include medication for pain, physical therapy, and lifestyle changes to avoid causing permanent damage to the spinal cord. 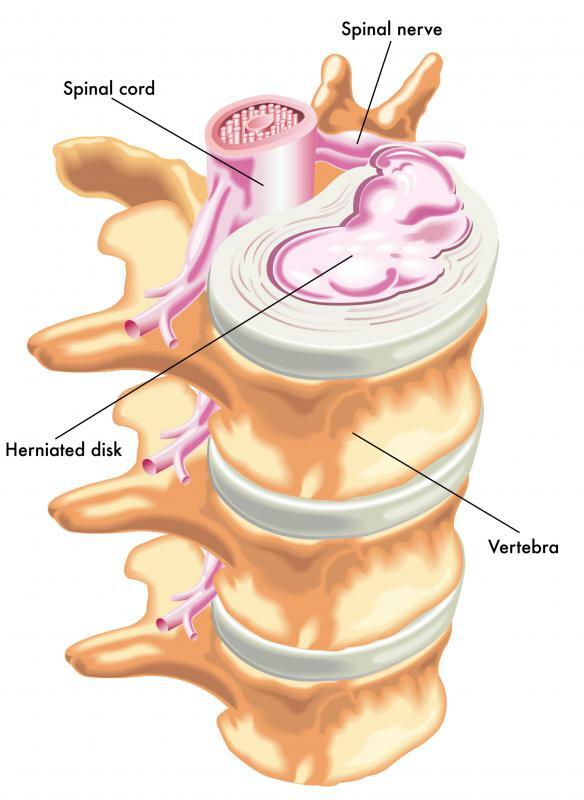 Herniated disc is another condition that can cause sharp lower back pain. Numbness may also occur, or it may occur in place of pain. This condition is caused by swelling or tearing of the sponge-like discs which separate the individual vertebrae of the spine. It normally heals on its own within a few weeks. Medication can be used to help alleviate pain in the meantime. Although not as common as other causes, spinal infection or spinal cancer can cause sharp lower back pain that does not subside or grows more severe over time. Both can be treated if caught early, but since symptoms mimic so many other conditions, early detection can be difficult. Patients are encouraged to discuss any additional symptoms with their doctors. What are the Most Common Causes of Sharp Upper Back Pain? What are Common Causes of Sharp Back Pain? What are Common Causes of Lower Right Back Pain? What are the Different Back Pain Symptoms?